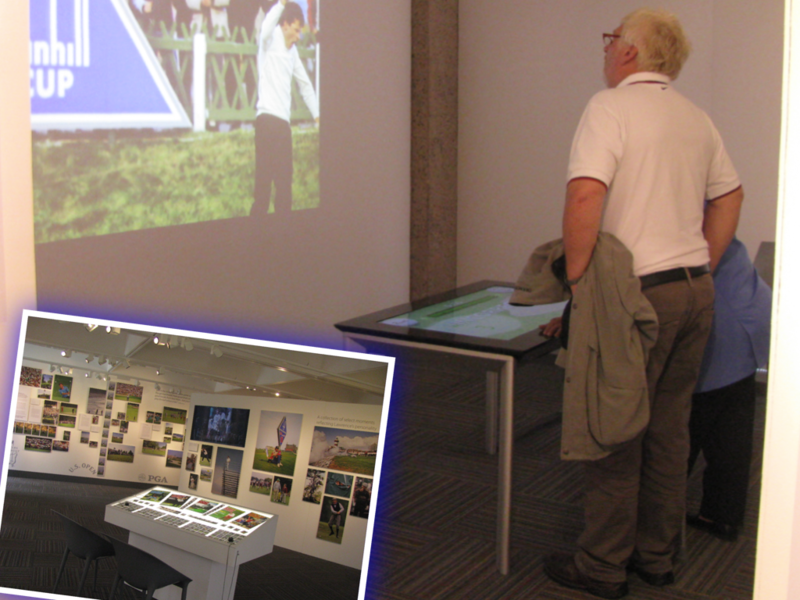 A Multi-display exhibit that enables visitors to explore The Old Course and photographs of Lawrence Levy, and to quiz their golf knowledge was developed by Julian Petford. 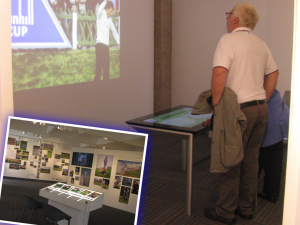 The display was developed during his Senior Honours Project which was supervised by Miguel Nacenta. Great job Julian. We look forward to hearing more about the event in due course. The exhibition officially opens on Saturday, although visitors to The University Library can view the exhibit from today. Read more about the showcase on Echoes From The Vault, a blog from Special Collections, the University 600th news or view some of the images on display via the BBC website.